"What I can do, you cannot. What you can do, I cannot. But together we can do something beautiful for God." When I graduated college back in 2005, I had no intention of becoming a religious sister. I had set my sights on pursuing a career in theater while I faced the daunting task (as most students do!) of paying off my school loans. This task seemed manageable over time, and I felt confident that God would continue to provide for my needs if I remained faithful to Him. Over the years, God did provide, as I worked several jobs in the arts---often juggling 2 or 3 at a time---allowing me to make my monthly loan payments. As I had been successful in lowering my debt over the past 10 years, I never anticipated needing to ask for help in this area of my life until--SUPRISE-- God called me to a new life! With this new call, came a new challenge to pay off my loans in a shorter period of time. 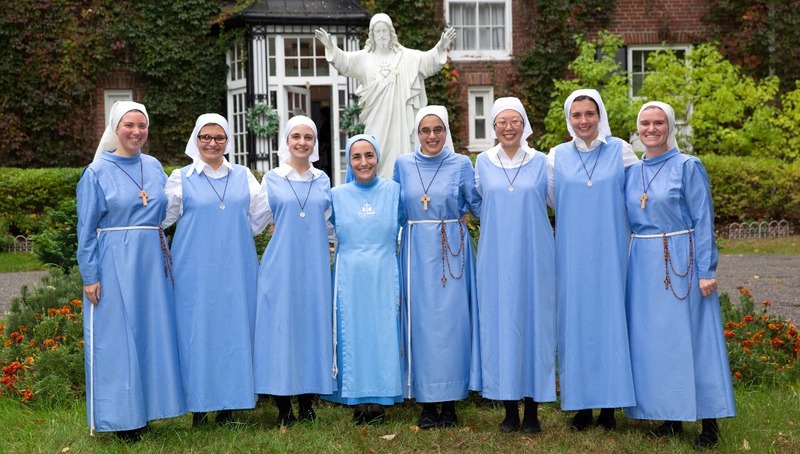 Upon entering religious community with The Daughters of Mary of Nazareth ( http://www.dmnazareth.org) it became clear to me that I would need assistance from my fellow brothers and sisters in Christ. I am asking those who can, to join me in my mission "do something beautiful for God!" I desire to give myself totally to the Lord and His Holy Church. Saint Therese of Liseaux has inspired many people on their spiritual journies with her "little way," including myself. Her desire to serve the Church and souls, "everything I have, everything I merit, is for the good of the church, and for souls", echos in my heart and has encouraged me in this pursiut of my vocation to belong totally to Christ and the Church, as she did. Will you help me pursue this desire by providing funding towards my student debt? In this way, I will become available to serve the Catholic Church as a religious sister, and God-willing someday, profess vows. There are currently 10,000 men and women in the United States seeking to enter religious life, however 42% are blocked due to their student loan debt. Unfortunately, this is a common obstical for many young people. Will you help me bridge this financial gap so that together we may "do something beautiful for God?" Here is how you can help! If we find 40 people to commit to this pledge, all my student loans will be fully paid in one year! 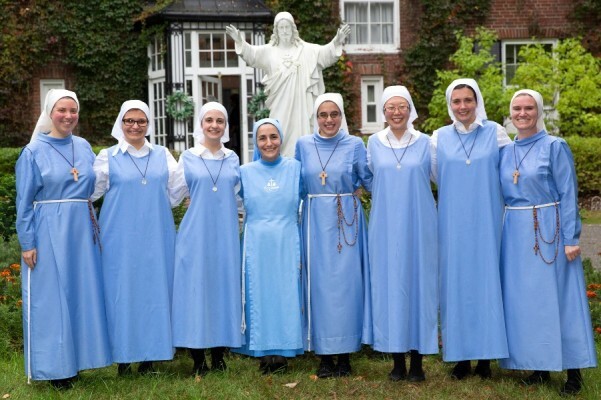 Please prayerfully consider donating and being my partner in God's mission with the Daughters of Mary of Nazareth. Thank you so much for all your love, prayers and support. Please know I am praying for you and I am grateful for anything you can give. May our Lord bless you today and always, and may He give you His peace. "I give thanks to my God at every remembrance of you, praying always with joy in my every prayer for all of you, because of your partnership for the gospel from the first day until now." Thank you for supporting me! You can sign up to make a one time donation, or monthly payments online. Every little bit brings me a step closer to my goal---to serve the Lord and His people with my whole heart! Please share with family and friends or others who may be interested in sponsoring my vocation. Thank you, and may the peace of Christ be with you! The Daughter of Mary of Nazareth!